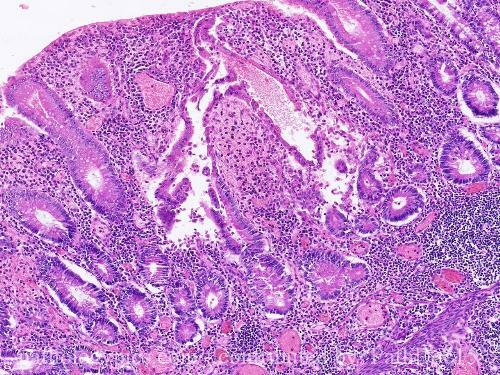 A very striking example of chronic active colitis. Seen is architectural distortion of the crypts with regenerative change (flattened epithelial cells) - arrow #1. The lamina propria is dense with inflammation through out. Mucin depletion is apparent.